A groundbreaking study by two University of Rochester psychologists to be published online Oct. 28 by the Journal of Personality and Social Psychology adds color literally and figuratively to the age-old question of what attracts men to women.The research provides the first empirical support for society's enduring love affair with red. From the red ochre used in ancient rituals to today's red-light districts and red hearts on Valentine's Day, the rosy hue has been tied to carnal passions and romantic love across cultures and millennia. But this study, said Elliot, is the only work to scientifically document the effects of color on behavior in the context of relationships. Although this aphrodisiacal effect of red may be a product of societal conditioning alone, the authors argue that men's response to red more likely stems from deeper biological roots. Research has shown that nonhuman male primates are particularly attracted to females displaying red. 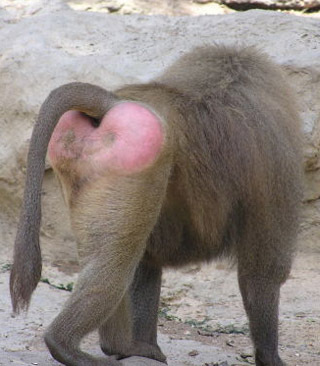 Female baboons and chimpanzees, for example, redden conspicuously when nearing ovulation, sending a clear sexual signal designed to attract males.